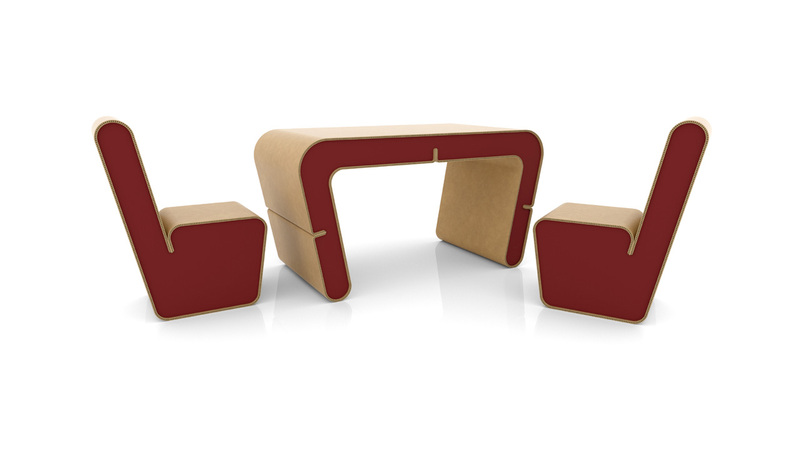 A playful, cheerful and colourful snake with a curvy silhouette, almost like a cartoon. 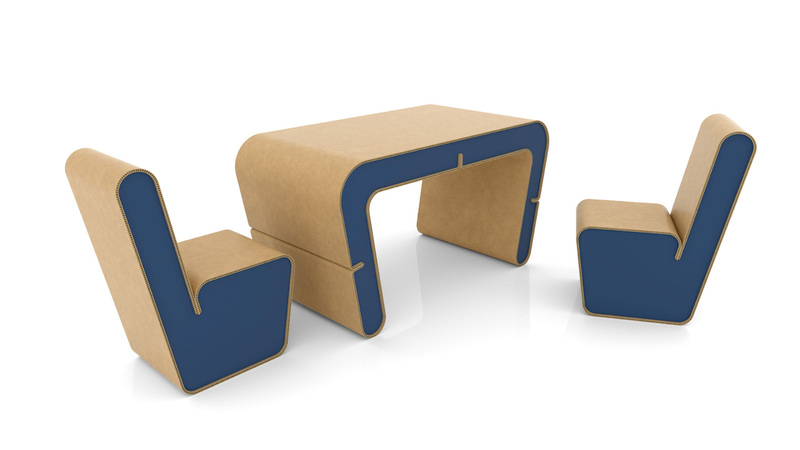 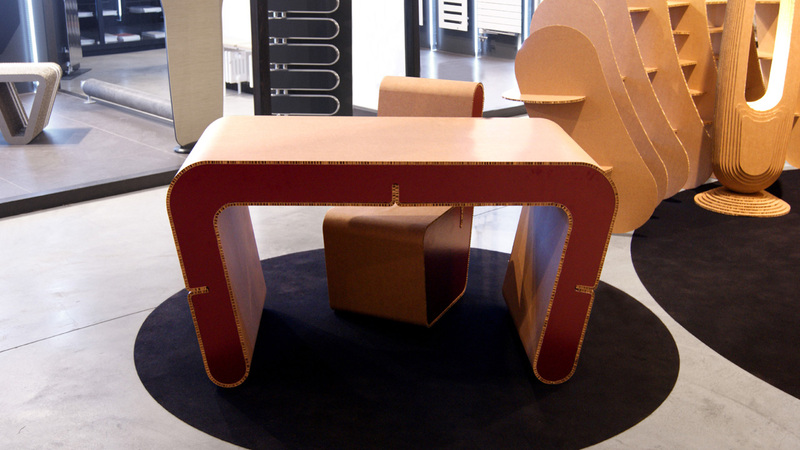 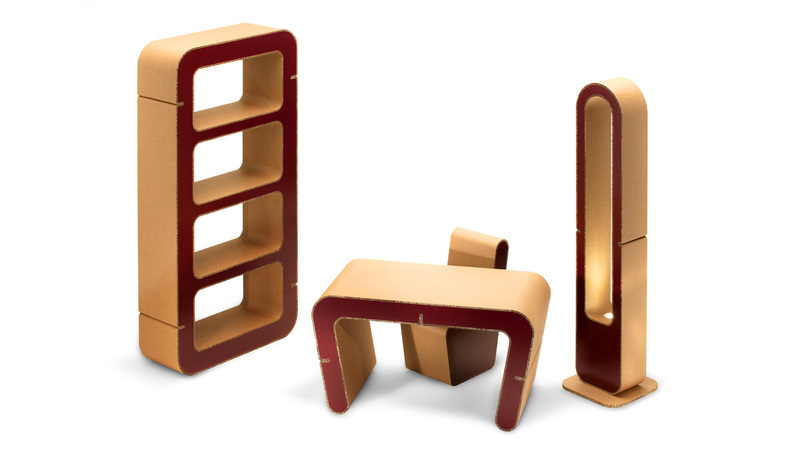 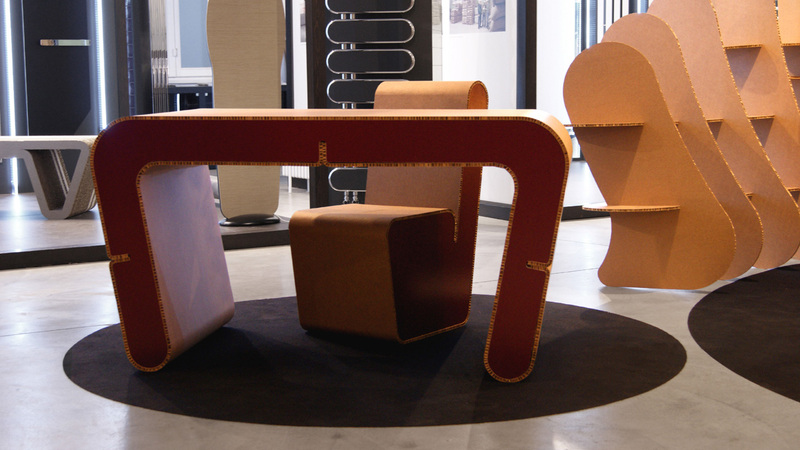 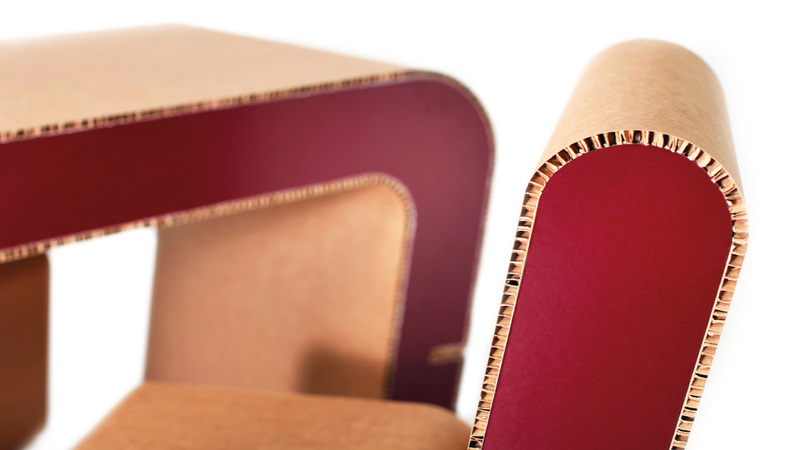 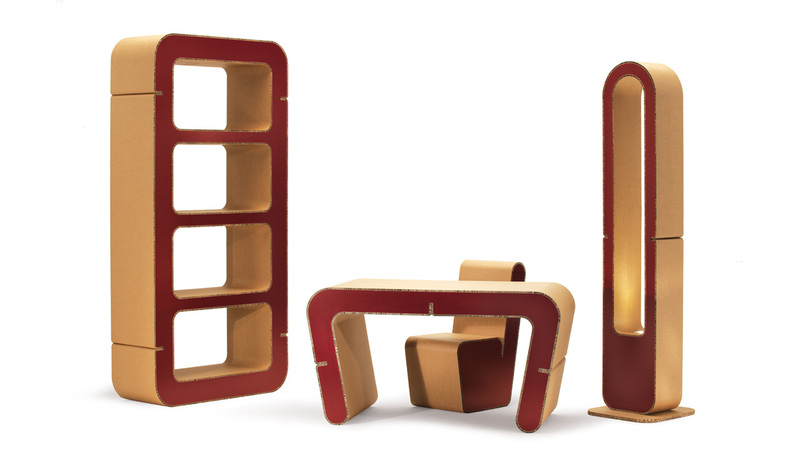 This is the exciting childhood memory that led designer Giancarlo Zema to design, for the new Origami Furniture brand, an essential but fun cardboard office furniture collection that consists of desk, chair, library and floor lamp made of recycled dual-coloured cardboard. 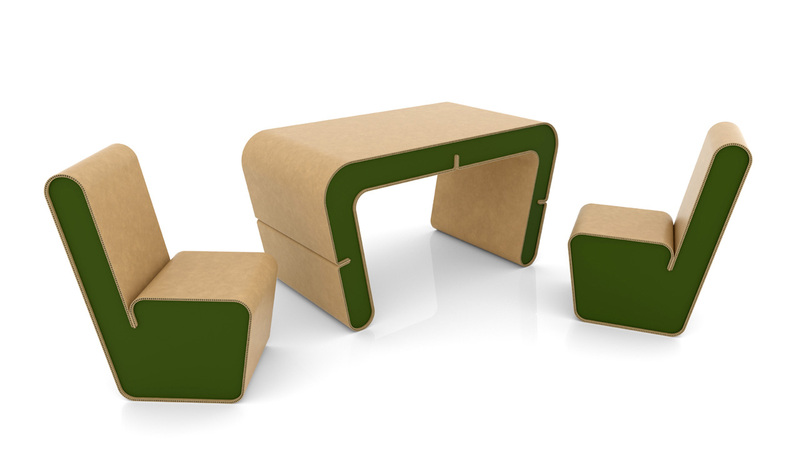 An ideal piece of eco-frindly furniture to decorate smart and eco-friendly homes and offices in a young and informal style.